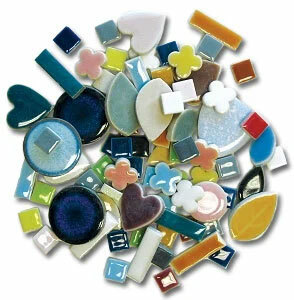 Get a fantastic mixture of colors and sizes with the Deco Tile Assortment. 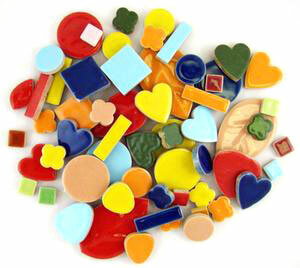 The wide variety of ceramic shapes and tiles gives you many creative choices for multiple projects. 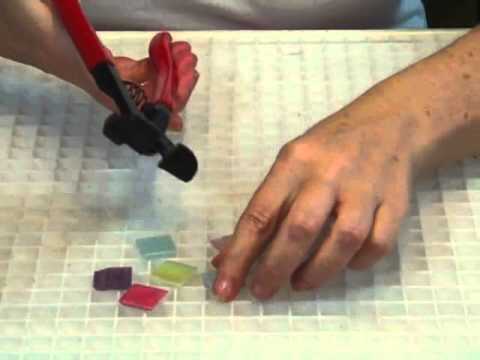 Great for indoor and outdoor mosaics. 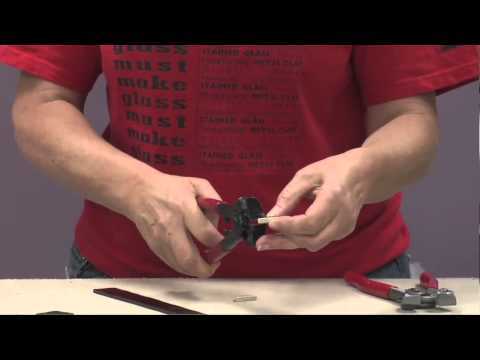 Pieces measure up to 1-3/4" long. Sold in one pound bags. 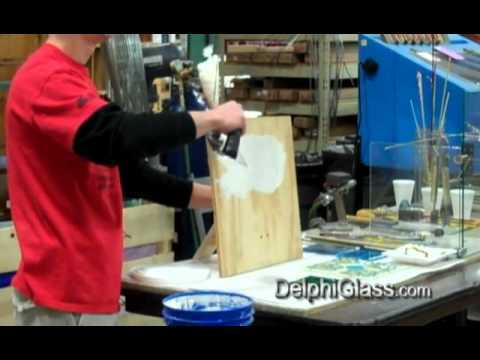 Colors may vary slightly from image. 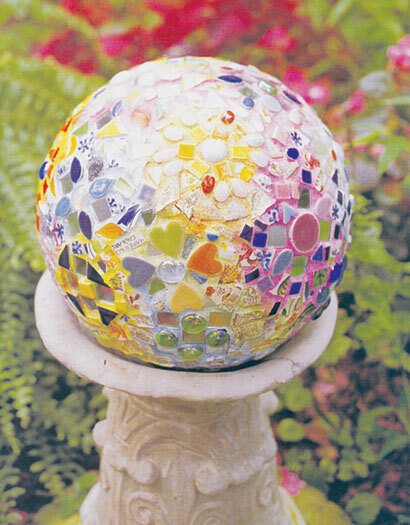 Mosaic gazzing ball by artist Connie Sheerin. 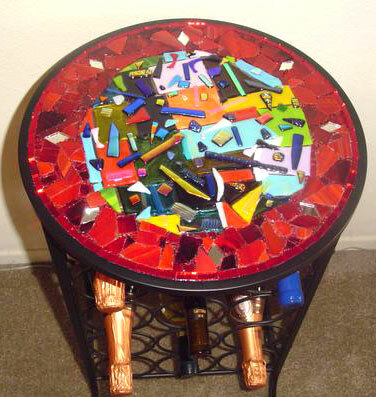 Wine table top created by artist Melanie Ellis.